Shipping time on your Avaya order can be held up by the delivery of software DVDs travelling from the US. This unnecessary use of DVD option can be eliminated easily during design. The use of DVD can be eliminated if you choose “download” as the Software Media option when you design in the AVAYA tool/portal (ASD/EC). System Options -> Options [x] -> Miscellaneous Options -> Software Media. 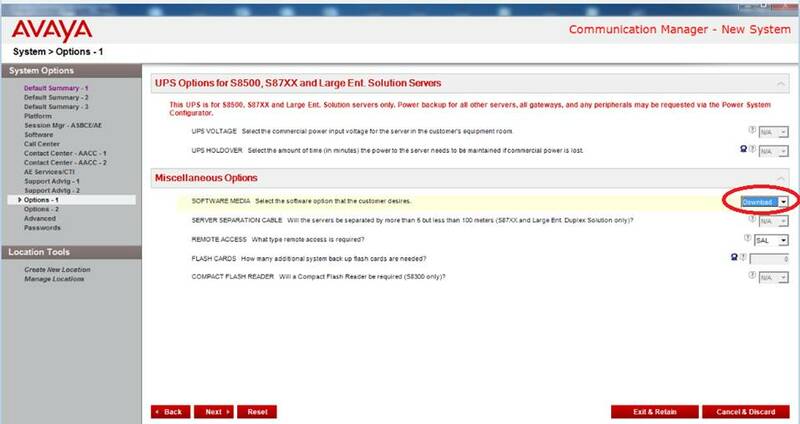 NB: The most updated software can always be downloaded from the Avaya website. The DVD version may not be the latest version that’s currently available.